Russia began on Tuesday its biggest war games since the fall of the Soviet Union close to its border with China, mobilising 300,000 troops in a show of force that will include joint exercises with the Chinese army. The location of the main training range for Vostok-2018 5,000km east of Moscow means it is likely to be watched closely by Japan, North and South Korea as well as by China and Mongolia, both of whose armies will take part in the manoeuvres later this week. The exercise – which will involve more than 1,000 military aircraft, two Russian naval fleets, up to 36,000 tanks and armoured vehicles and all Russian airborne units – began as President Vladimir Putin held talks with Chinese President Xi Jinping in the Russian port city of Vladivostok. 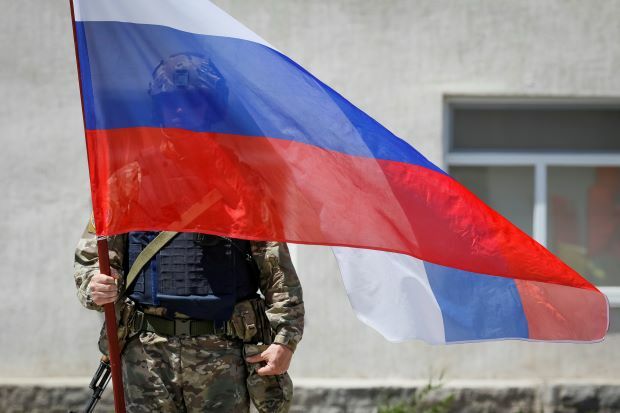 But Russia pivoted east towards China after the West sanctioned Moscow over its annexation of Ukraine’s Crimea region in 2014 and trade links between the two, who share a land border over 4,200km long, have blossomed since. Russia broadcast footage of some of 24 helicopters and six jets belonging to the Chinese air force landing at Russian air bases for the exercise. Beijing has said 3,200 members of the People’s Liberation Army will join in. China’s official People’s Liberation Army Daily said on Wednesday that the drill was aimed at maintaining regional peace, was not aimed at any third party and did not “have anything to do with the regional situation”. “The Chinese officers and soldiers participating in the drills will demonstrate the determination and ability to maintain regional peace and stability with practical actions,” it said. “With its Vostok 2018 exercise Russia sends a message that it regards the US as a potential enemy and China as a potential ally,” wrote Dmitri Trenin, a former Russian army colonel and director of the Carnegie Moscow Center think tank. When asked if he was concerned about a potential military alliance between Russia and China in the future, U.S. Defence Secretary Jim Mattis said he did not see the two countries aligned in the long-term. “I think that nations act out of their interest. I see little in the long-term that aligns Russia and China,” Mattis told reporters in Washington.